Tamela Mann is a popular gospel singer who has branched out into films and TV. The 2012 single Take Me To The King is her biggest hit to date. She has a new album coming out shortly. She was born June 9, 1966 in Fort Worth, TX the youngest of 14 children. She grew up singing in church and as a teen, she was a soloist in the adult choir. Tamela married comedian David Mann in 1990. The first time I saw these two was in a Kirk Franklin video. They were members of Kirk Franklin and the Family. Then Tamela started acting in gospel plays. Tyler Perry spotted her and she appeared in some of the Medea films. The Manns started their own record label Tillymann and Tamela's solo debut CD Gotta Keep Movin' was released in 2005. Meanwhile The Manns continued to appear in Perry's films and TV shows. The most significant of these were Tyler Perry's House Of Payne and Meet The Browns which both ran on TBS. Best Days was released in 2012. Most of the album was produced by singer songwriter Myron Butler who was also a member of Kirk Franklin and the Family in the 90s. Take Me To The King was written and produced by Kirk Franklin. It topped the Gospel charts and crossed over to R & B. The album sold very well for a gospel album. Tamela was nominated for a Grammy and she won a BET award and several Stellar awards. Since then, The Manns appeared in the Bounce TV series Mann and Wife, the BET reality series It's A Mann's World and they are working on a new cooking show Hanging With The Manns which is scheduled to begin this summer. Tamela just released a new single One Way and that means she has a new album coming out. 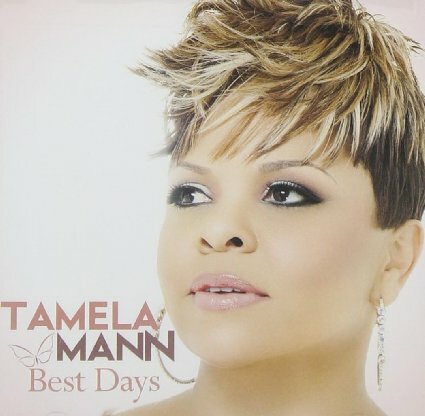 Here's Tamela Mann performing Take Me To The King on the 2013 Stellar Awards broadcast.